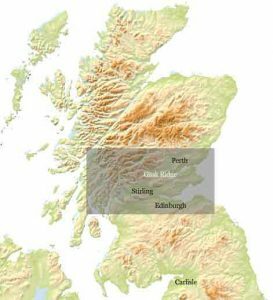 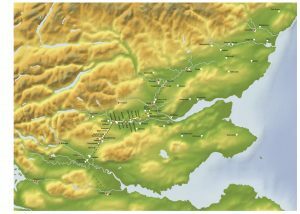 The Gask Ridge at around 70 metres above sea level lies between the Highland massif and Fife, and forms part of a corridor northwards towards the coastal strip of richer agricultural land that extends to the Moray Firth. 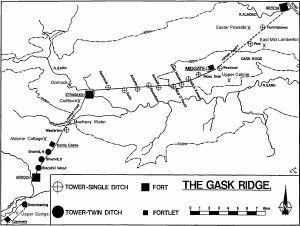 The Ridge forms the core of the Gask Project’s Research Area. 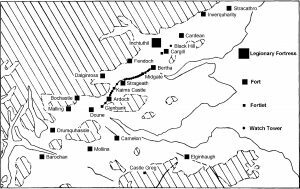 The maps show sites of Flavian age in the research area.